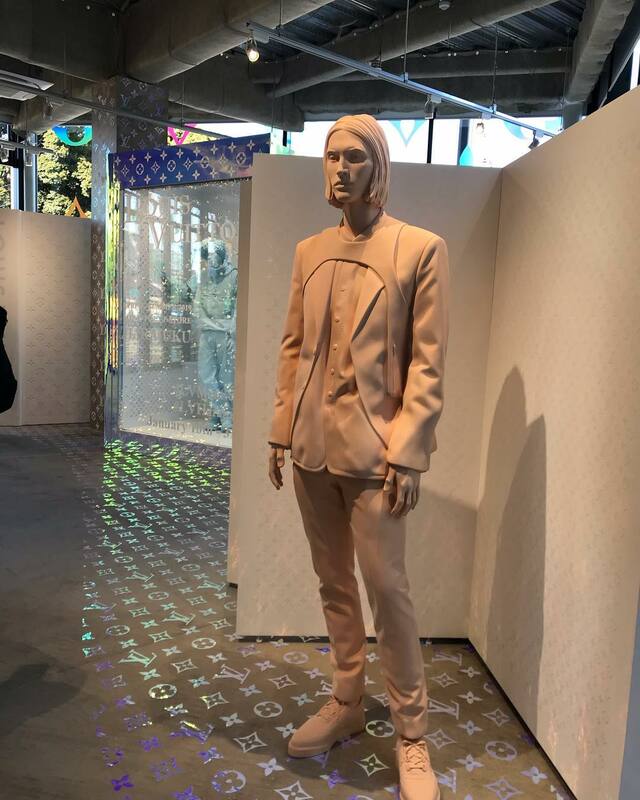 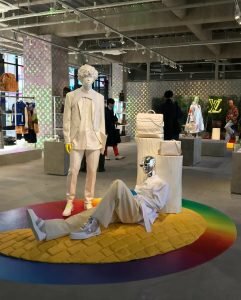 Louis Vuitton launched their men’s collection pop up in Harajuku, Tokyo from Jan. 10 to 31, 2019. 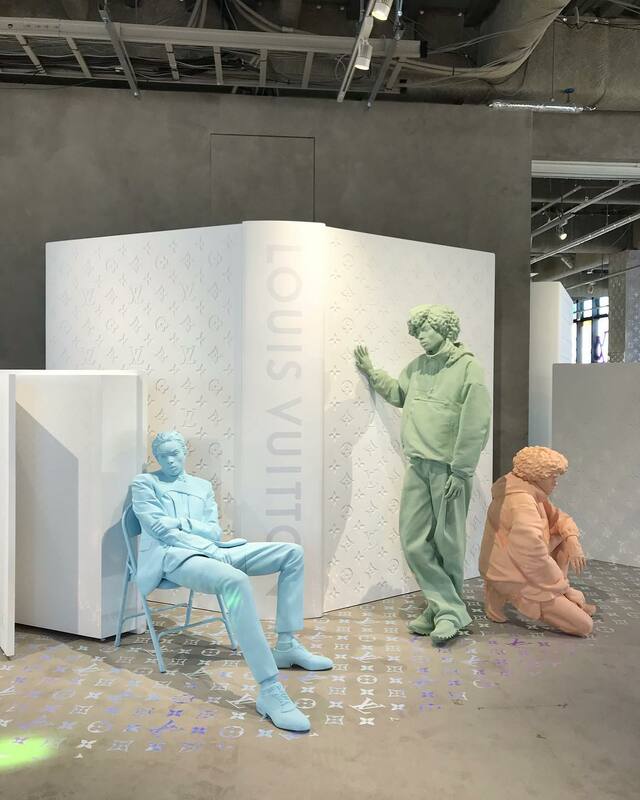 The flashy space is designed by Louis Vuitton’s much-hyped Men’s Artistic Director Virgil Abloh, who has taken the brand to new heights with his casual streetwear vision since taking over the reigns last year, with his debut collection hitting the runways at Paris Fashion Week in June 2018. 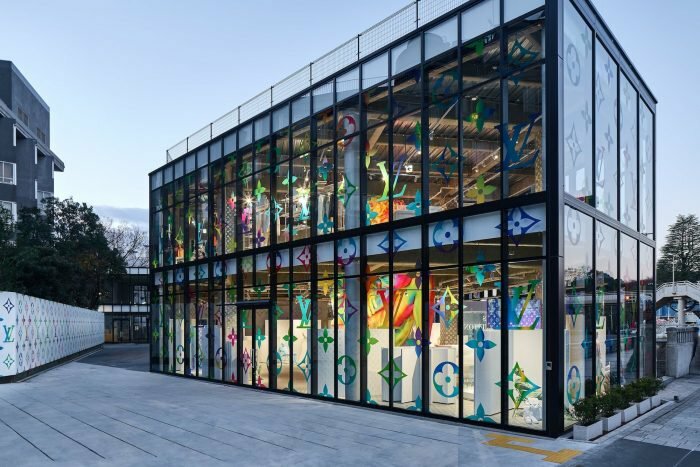 The pop up is housed in an all-glass, enclosed building with a distinctive rainbow-colored logo and letter motif on the exteriors. 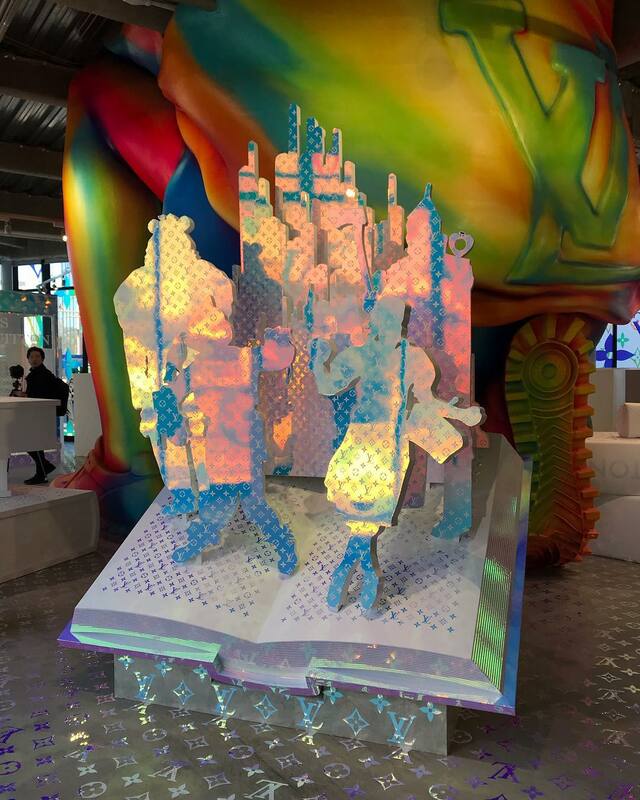 Inspired by the Wizard of Oz and the rainbow runway seen at the Palais Royal in Paris, the spaces are full of colour and feature manikins designed to bring Virgil Abloh’s debut Louis Vuitton SS19 collection to life. 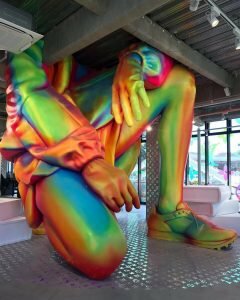 Upon entering the store, a giant rainbowman statue of up to 8 meters across the 2nd floor is present. The combination of installation and clothes shows Abloh’s inspiration from ‘The Wizard of Oz’, with pictures of Dorothy on jackets and shirts printed with the famed yellow brick road. 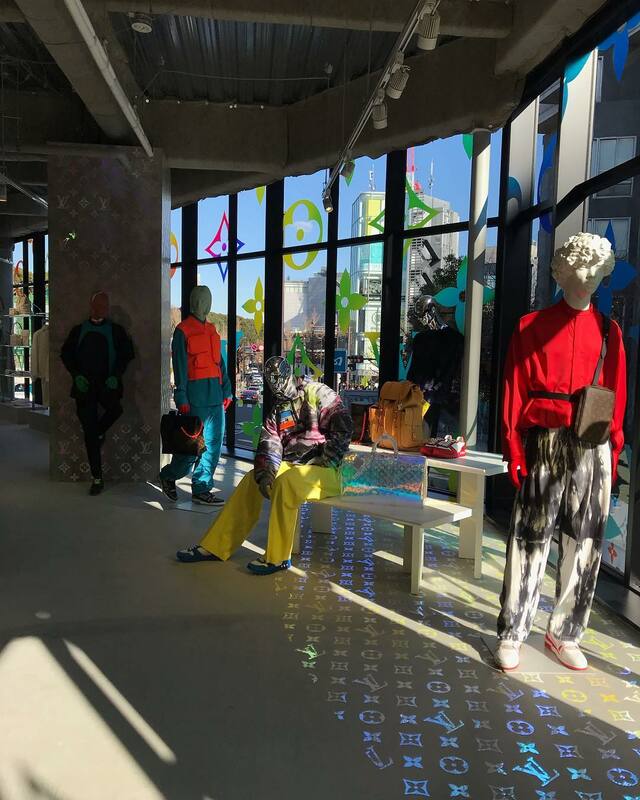 Interactive electronic screens and camera are scattered throughout the space. 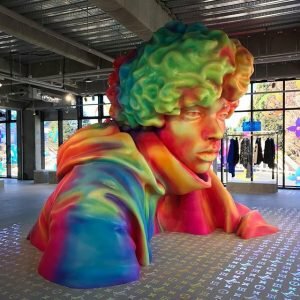 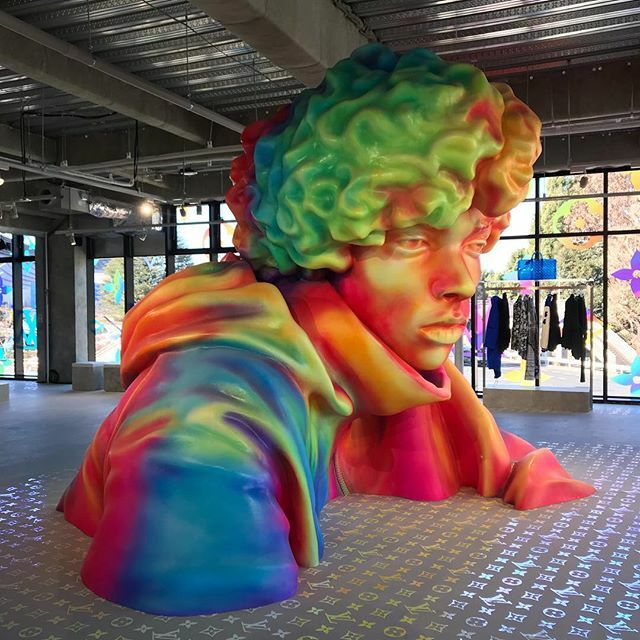 Tokyo is just one of the very few cities (including New York) to host a specially designed pop-up this season, where you’ll find Abloh’s spring-summer 2019 men’s collection featured among larger-than-life installations, iridescent backdrops and monotone mannequins.